The 2019 Legislative cycle is starting soon and we have a lot of work to do to move our bills to help end mass incarceration forward! 3. 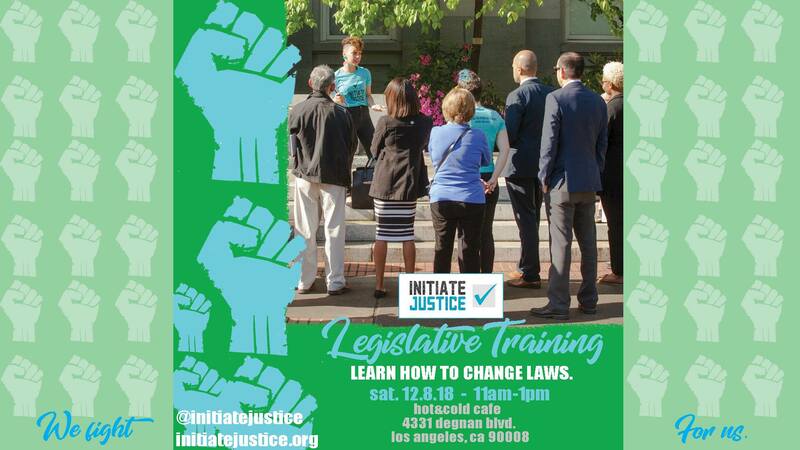 What bills Initiate Justice is working on this year around voting rights, parole reform, and expanding Prop 57 credit earning. Training is FREE and lunch is provided. All are welcome! Come out! Not in LA? Join us online via Zoom! Turn Up 2 Turn Out!